Congressional Camp offers transportation service through cluster stops to limited areas in Northern Virginia. 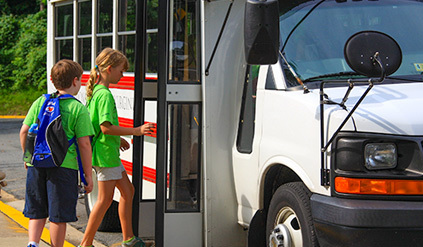 Cluster stops are designated areas where our buses will arrive at scheduled times to pick up and drop off campers. All buses have seat belts, high back seats and two-way radio communication.